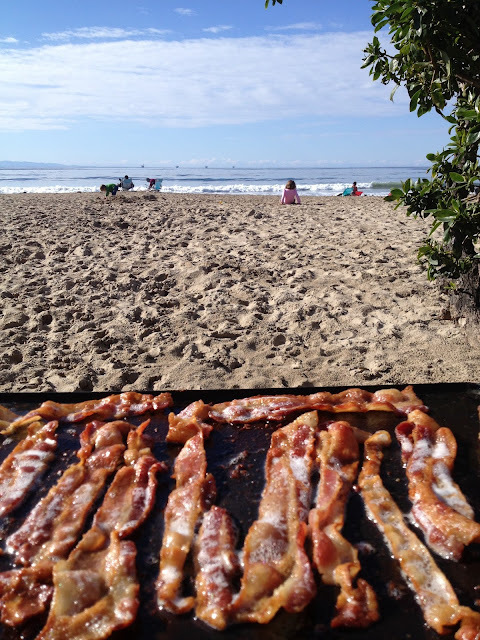 Ah bacon....the thing that dreams are made of. Okay, maybe a little dramatic, but I do love my bacon. And so does the rest of my family. In case I haven't mentioned this yet, this crew gets horrifically cranky when hungry. And since we don't really eat packaged meals, preparing a quick breakfast was challenging at first. I found having muffins, pancakes, or banana bread pre-made and brought with us was extremely helpful. But for that real protein punch, having bacon was even better! At first, I used to cook the bacon on our griddle outside the r.v. This works well, but definitely takes time. When beach camping (with electric hook-ups) this is no problem at all. I mean, who wouldn't want to spend time cooking bacon like this? Unfortunately for me, we don't always get so lucky. 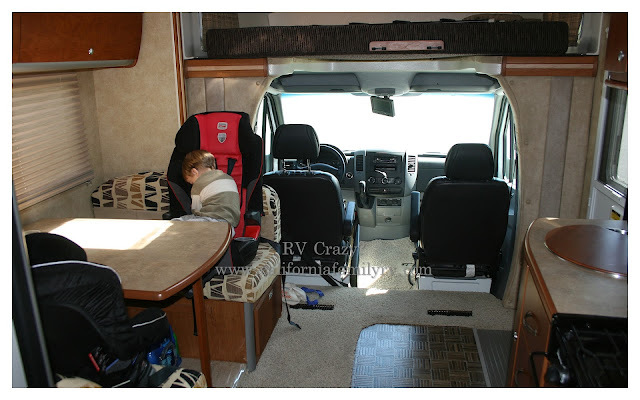 Many times, we are rv-ing without hookups, or need to feed the kids on the road. 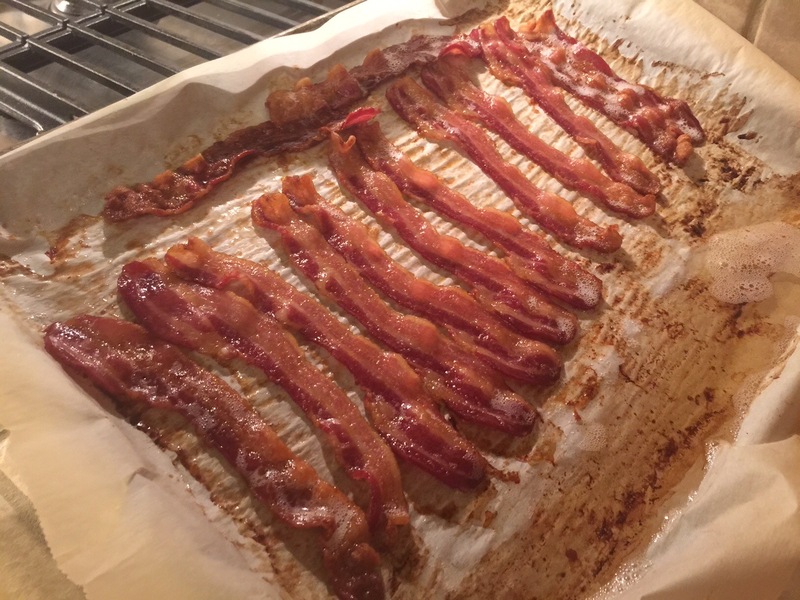 I found that cooking the bacon ahead of time in the oven is the answer to all of our problems. Okay, to be totally honest, it was my sister that discovered this oven bacon-making secret and had been raving about it to me for a long, LONG time before I finally (skeptically) tried it. The first time I finally did, I was SO mad at myself for waiting. The bacon comes out crispy, and almost melts in your mouth. And you can cook a whole package at once, without bacon fat splattering up at you. It's awesome!! I make several packages ahead of time for trips, and freeze between wax paper layers. Then, I can simply warm quickly in a frying pan (if we don't have electricity available) or in the microwave for a few seconds. It's awesome and SO quick. Perfect for rv-ing with kids. 1. Line baking sheets with parchment paper. 2. 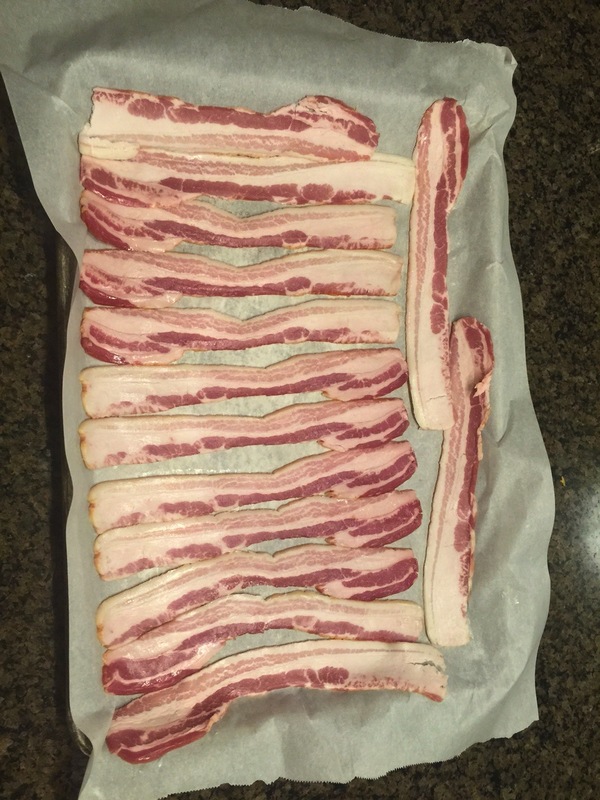 Spread bacon in a single layer on paper. Don't crowd it. 3. Put pan in a COLD oven. 4. Turn oven to 400 degrees and press start. 5. Set timer for 20 minutes. 6. Remove bacon from oven. I like to tilt the pan, like this so the grease runs down and off the bacon. For our bacon, I only put one pan in the center of each oven. The only way have ever successfully cooked two pans at once was when I had my old convection oven. Otherwise, for perfect bacon, only cook one pan at once. 20 minutes yields perfect bacon for us, a little crispy, with still a bit of chew. If you like yours crispier, just cook for a minute or two longer...but WATCH it carefully!! And trust me on this, if you are not standing right there watching it, SET the timer! It's also very important to cook the bacon from a cold oven. Do not preheat. And if you are going to cook a second batch in an already hot oven, start the timer at 10 minutes for the second batch. You can always add minutes if necessary, but you can never fix burnt bacon. 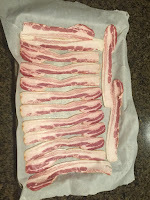 After bacon cools (and after you've scarfed down 1, 2, or 7 pieces), you can place it between layers of wax paper. I like to store and freeze mine in these plastic containers. 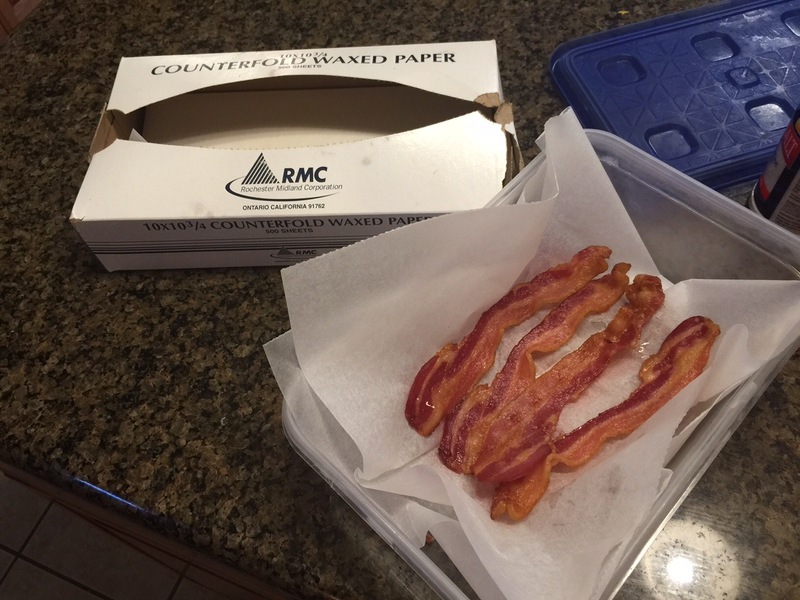 You can also store in large ziploc freezer bags, but the bacon may crumble a bit. For super easy clean up, allow the bacon fat to cool on the parchment paper first, then fold up and toss the whole thing in the trash. And there you have it! 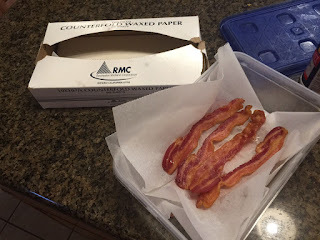 Just take out a piece at a time and you have bacon with breakfast, bacon for lunchtime BLT's, bacon bits for baked potato soup or scrambled eggs. Can't get any easier than that. And happy, non-cranky kids make for a happy, relaxed mom. So we are all winners with this bacon oven hack. I will definitely have to try this one! I LOVE bacon.